Product #32371 | SKU AT8647QMS | 0.0 (no ratings yet) Thanks for your rating! The Audio Technica Microphone Shock Mount Plate is designed to be used with microphones mounted on lecterns, pulpits, conference tables and other surfaces. A Suspended rubber panel isolates the microphone from its mounting surface and provides effective reduction of mechanical noise and vibration. A lighted mute switch adds an additional touch of professionalism. This microphone shock mount plate is designed to fit Audio-Technica Case Styles M11 and M23. 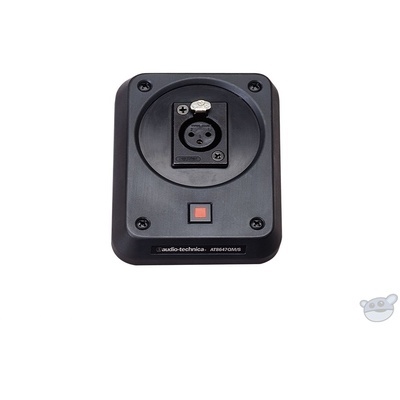 If you're setting up for a presentation and are using a table, podium, lectern or other surface then you'll want this shock mount plate with suspended rubber panel to isolate the microphone and reduce the mechanical noise and vibration.